A website advertises you 24/7—so long as people can find your website, of course. For many new businesses and organizations, a fresh website is one of the first expenses in the startup process. Unfortunately, it can also be costly. But finding a domain name doesn’t have to empty your wallet. In fact, what if I told you it doesn’t have to cost you a dime? Let’s take a look at how you can get a free domain name for your website. A domain name is the easy-to-remember name of your website. For example, MakeUseOf.com is a domain name, as is Facebook.com, Google.com, Wikipedia.org, and so on. 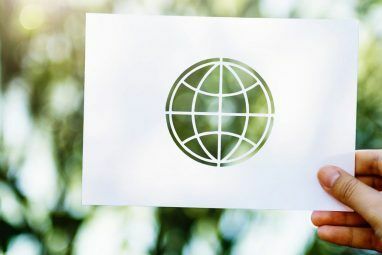 Domain names are a vital part of internet infrastructure 5 Nifty Ways to Use DNS to Your Advantage 5 Nifty Ways to Use DNS to Your Advantage One of the most underappreciated parts of the internet is the Domain Name System. DNS is often referred to as the phonebook of the internet, but it is far more than just a lookup service. Read More . Without them, you would need to remember the exact IP address for each website you visit. The Domain Name System (DNS) translates the standardized name to an IP address, and helps you arrive at your desired destination. For a long time, there were only a few TLDs. That changed drastically in 2015 when the ICANN announced the introduction of over 500 new TLDs. Within the new TLDs were many business, location, and activity-specific extensions, such as .accountant, .barcelona, .loans, and .radio. Check out the full list here. It is this last bit of information that concerns us. The sudden rise in TLD extensions made millions of new potential domain names. So many that some sites give them away to get your business, one way or another. 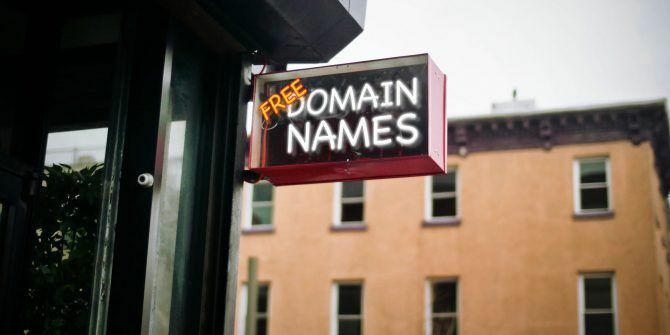 Let’s take a look at the domain names you can lay your hands on for free. Now, I’ll level with you. While there are a few methods to obtain a completely free domain name, other methods involve purchasing web hosting first. Sounds like a let-down? Well, you need web hosting to host a website for your domain name. Check out the options below and see what suits you best. One of the easiest methods to grab a free domain name is through a free website building service. Free website building services have brought customizable website design to the masses. When you sign up to one of these services and build your site, you also receive a free domain name. 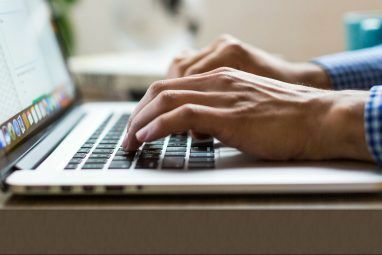 The downside is that the domain name contains a reference to the free service, such as wixsite.com/yourdomainname or yourdomainname.wordpress.com. The example below is a site thrown together in less than two minutes, complete with a “custom” Wix domain name. Notice the other issue? Many of the free website creation sites add an advertisement to your site in exchange for their service. For many users, it isn’t an issue. But for others, it betrays the professional touch many desire. In that, all of these free website services have premium subscriptions that remove advertisements and the company tag from the domain name. The GitHub Student Developer Pack is a free bundle of services and tools for existing students. Within the bundle are a bunch of vouchers and tokens for services like Amazon Cloud, Digital Ocean, Microsoft Azure, Stripe, and many more. Students can register a free domain name using the .me TLD for a single year with the Namecheap voucher included in the pack. The domain does expire after one year, so you’ll have to renew it or upgrade to another service. Note: You don’t have to sign up to the entire GitHub pack to get a free Namecheap domain for students, but you get a load of extra stuff if you do. Buying a domain is only part of the website development process. When you buy a domain name, you need somewhere to host it. Even if you manage to snag yourself a free domain, you pay for it to be online. Unless you use a free hosting service that also offers a free domain name. Bonanza! Unlike the free website building services, the free hosting domain offers require a more hands-on approach. 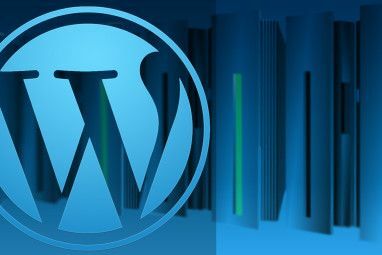 That said, many offer a WordPress installation that in turn enables you to install custom and professional website templates. For some businesses, the idea of using a free service doesn’t make sense. Sure, those free services are great. But some offer next to no customer support, while others simply need more from their hosting provider. There are many more similar deals to these out there. Furthermore, your local hosting company may offer a similar sign-up deal, and its always good to support local businesses. Last of all, there are several sites where you can grab any number of free domain names. The free domain names use the phenomenal range of TLDs to provide free domain names. Your domain name won’t have a .com or .org TLD; rather it will have .tk, .ml, .gq, and so on. However, that doesn’t matter much if the domain name itself is completely free. The domain name renewal status varies between sites. Make sure to check out the renewal details so you don’t lose your site and it’s a free domain name. Free domain names, along with free web hosting, make it easy for anyone to get online. A website is vital for businesses and organizations looking to reach the rest of the world. And why reach deep into your pockets when there are so many excellent free domain name options available? That said, is free hosting the best choice for your first website 10 Ways That Free Web Hosting Is Bad for Your First Website 10 Ways That Free Web Hosting Is Bad for Your First Website Free web hosts can get your website online without you spending a dime. But it's a bad idea. Here are ten reasons why you should buy some web hosting from the start. Read More ?